The Audio Precision System One and System Two are great machines for measuring just about anything in audio. Sometimes even a bit too great! One of the luxury problems is that the measurement bandwidth can be too large. The RMS detector easily picks up signals to 500 kHz. And while you can’t hear any of these signals, you certainly can measure them this way. Why would this be a problem? 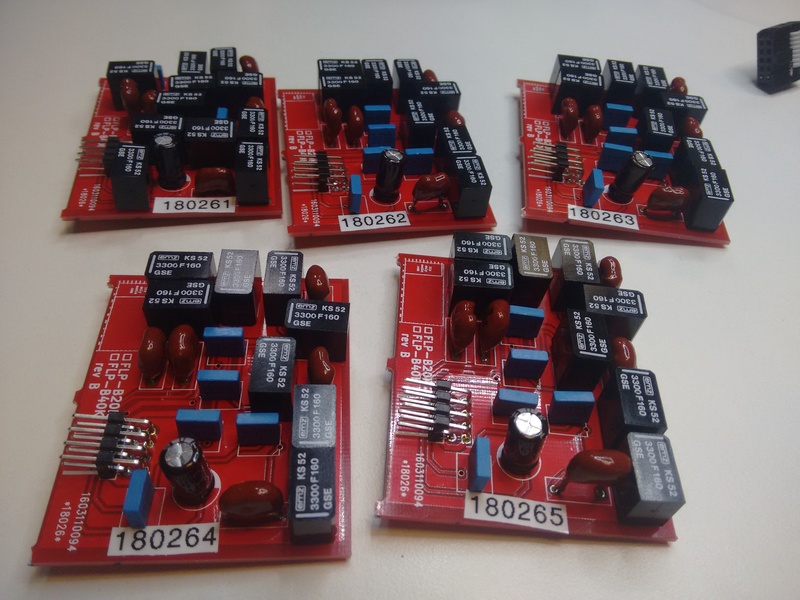 Well, many of the newer sigma/delta data converters and PWM amplifiers emit substantial ultrasonic signal. The PWM carrier of a class-D amplifier for instance, has a constant amplitude. 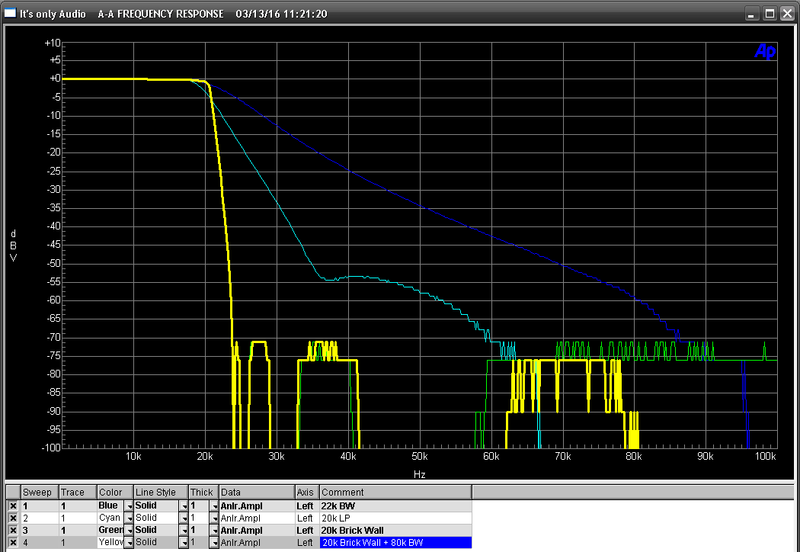 And whilst it is filtered by the L-C output filter, it can hamper you when you’re looking for low in-band THD signals. While you’re hunting for your 0.002% THD+N your detector shows a constant 5% which is not the signal you’re looking for. Enter the AES-17 standard. 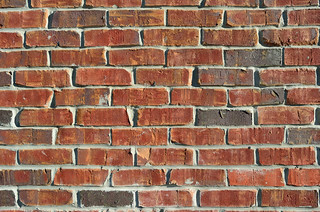 This standard is intended for a measurement filter and cuts off pretty much everything above 20 kHz, known as the brick-wall filter. When you use such a filter, only the in-band audio signal is kept and you can focus on finding the audible parts of the signal you’re looking for (assuming reasonable linearity, but that’s why you’re measuring in the first place). 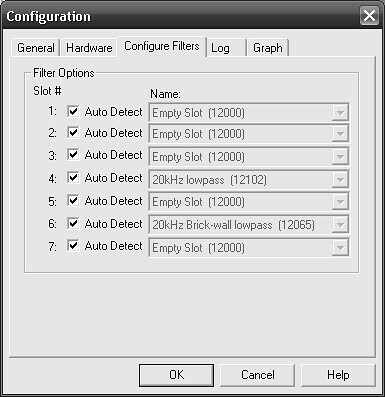 AP does make a so-called Brick-Wall plugin filter that goes into the System One/Two filter slot. I have never seen one as my machine doesn’t have it. But finding a suitable design wasn’t hard, so I set out to recreate my own. It took a spin or two (remember the opamp polarity post..?) but here they are. 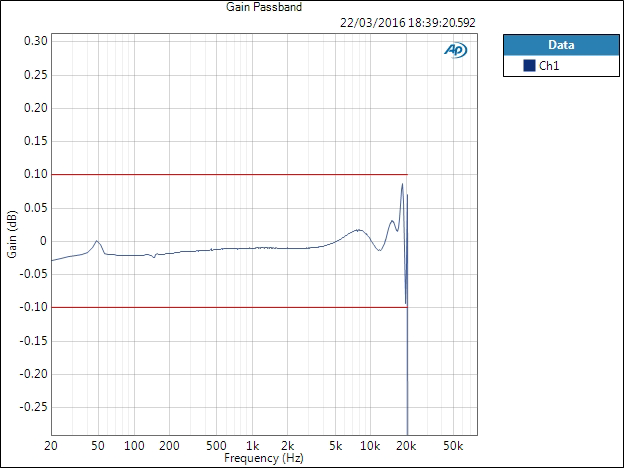 Now, interestingly measuring filters for an AP System Two with an AP System Two is difficult. Why? 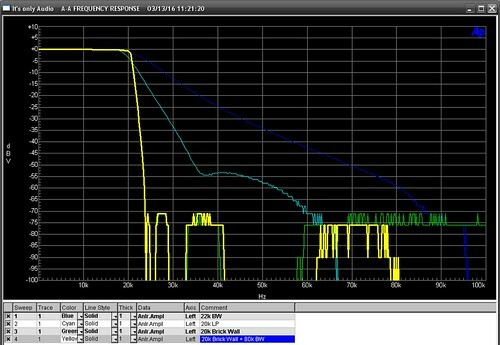 Because normally when you try to measure a filter, you need to resolve both large signals (in-band) and small signals (out-band). Therefore the autoranging capabilities are highly needed. 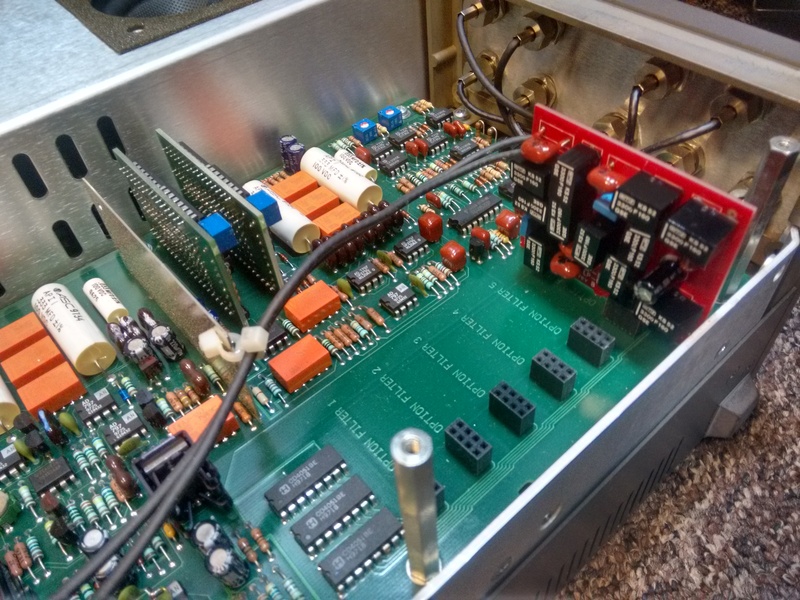 But in the AP signal chain, the filters come after the autoranging front end. 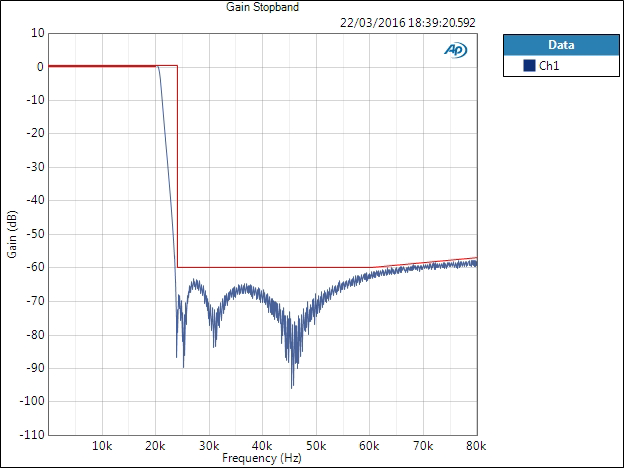 As you can see above, the signal resolution in the stopband isn’t all that good. So in order to measure the filter on its own, I built a little jig and attached that to my APx585. That looks a lot more like it. Even though it looks like a digital filter, remember that this is an analog filter you’re looking at! 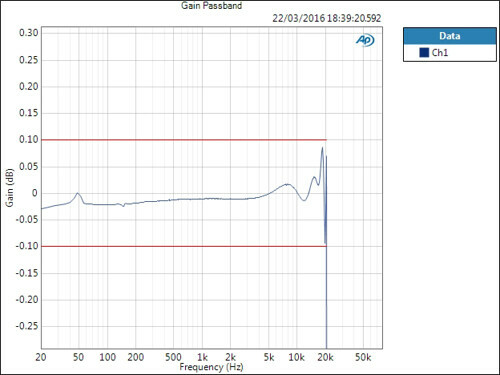 We see that the AES17 spec is closely followed in the passband (+/- 0.1 dB). 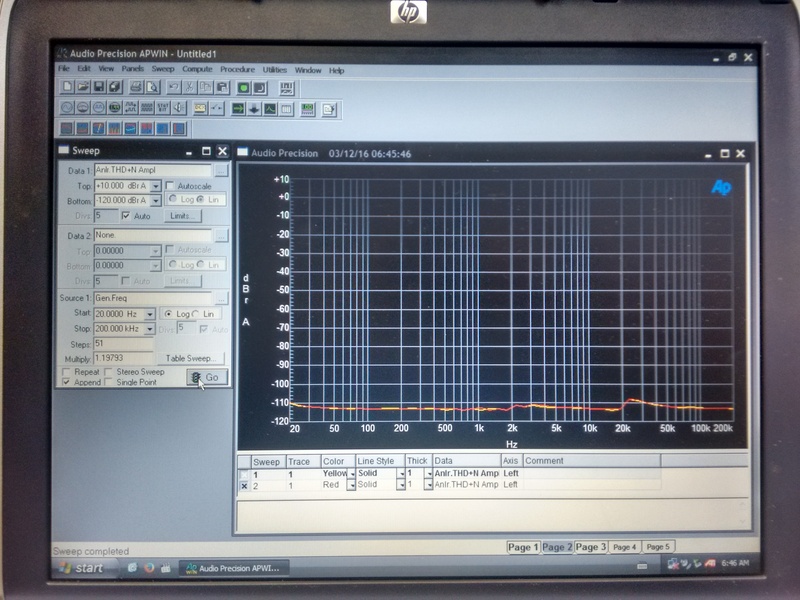 In the stop band we reach the required 60 dB at 24 kHz. 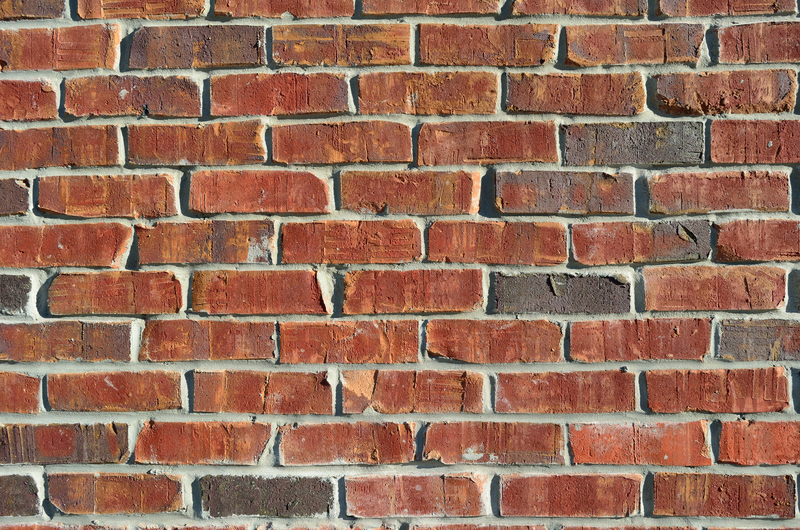 As the original AP brick wall was supposed to be used with an additional slow roll-off filter, some extra attenuation is needed around 60 kHz. 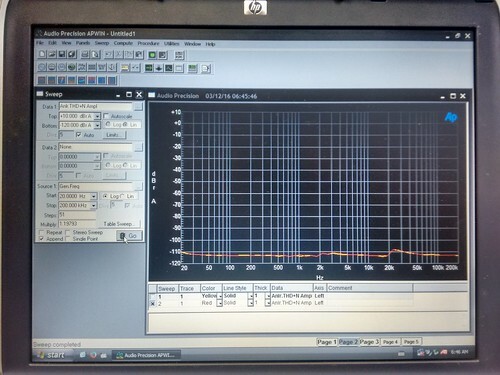 That is easily achieved by selecting 80 kHz analyzer roll-off in the System One/Two APWIN software and indeed you see that in the System Two + 80 kHz setting noise stays well below the line. In APWIN, go the Utilities -> Filters dialog and the 20 kHz Brick-wall will be automatically detected! (System One and early System Two units do not have autodetection built in). The distortion of the Filter circuitry is of course of paramount importance. So I ran the loopback test with and without filter in place. This filter is now available (in small quantities) for 149 Euros, including VAT, excluding shipping. For larger quantities drop me a message, as all these small-tolerance components have specific lead times.